Trend alert!!! 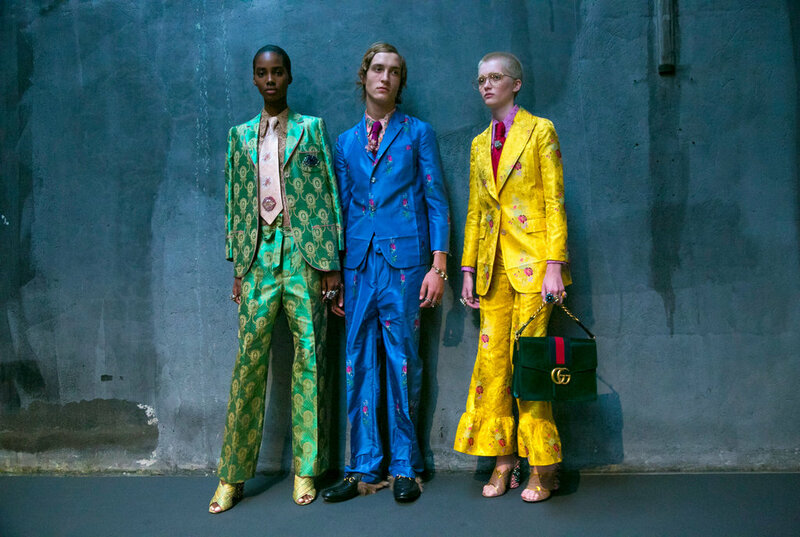 Gigantic,’70s inspired ties for women (and men) loom on the horizon. 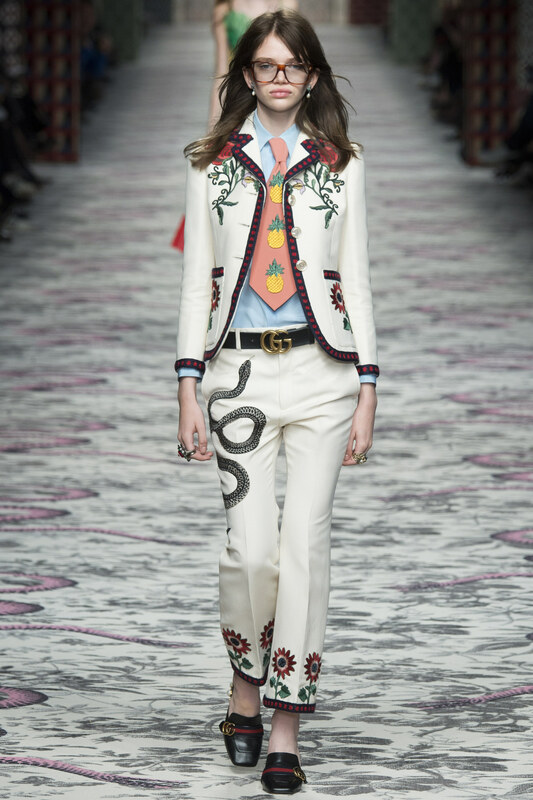 I’ve recently spotted a few fearless ties in some of our accessory vendor’s collections, but when Gucci plastered the look on their runway show for spring 2016, well… need I say more? 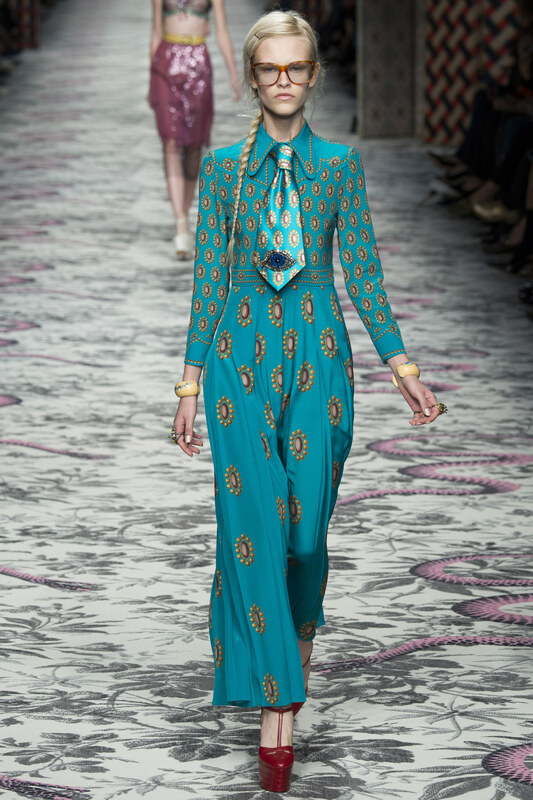 Look for bright-colored ties with fun prints and huge icons. Pair with jeans and a collared T-shirt for a casual look, or suit up all the way for spunky, fierce style. You know the old saying, “If you love something set it free, if it comes back it’s yours, if it doesn’t it never was.”? Or is it, “If you love someone…”? Whatever. When it comes to awesome ties (or other rare finds), DO NOT SET THEM FREE IF YOU LOVE THEM!!! My little beauties have probably been repurposed into makeup bags or fanny packs by now. (I’m crying paisley tears!!!) Hopefully, a special one will find it’s way back to me so I can represent the trend without forfeiting my rent for a designer version. 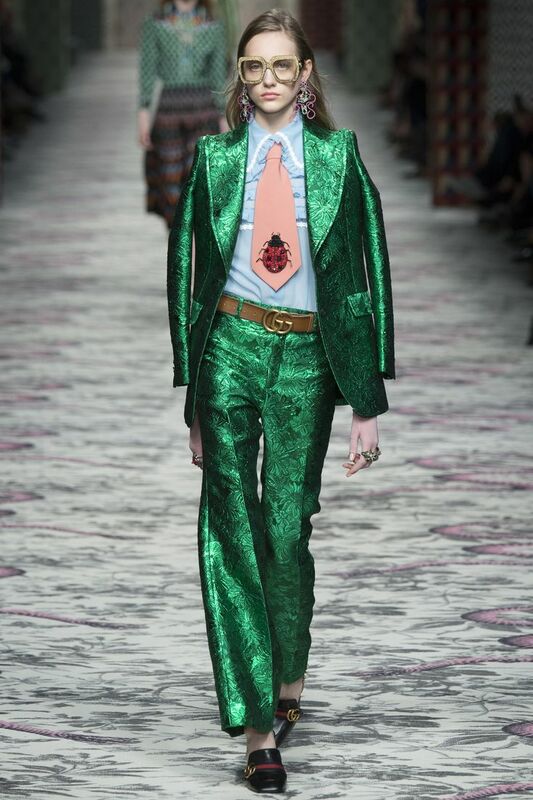 Dare to be big and bold for spring, keep your ties strong, and never let them go.